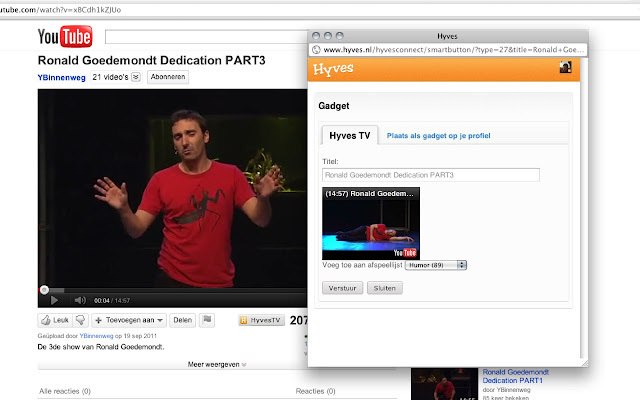 HyvesTV is a product within the Social Network Hyves. 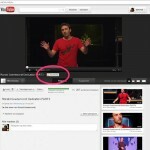 Where users could make lists of YouTube video’s and share these with their friends on Hyves. 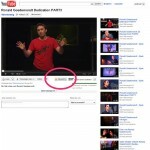 They can for example add this to a humor or favorites video list. 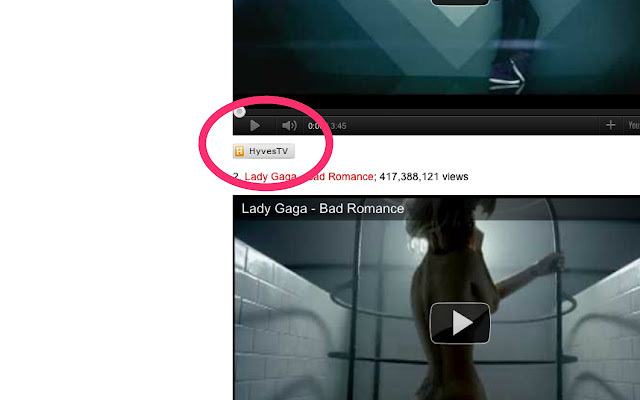 When you are on Hyves you can easily add a YouTube video by copying this from another Hyves user. 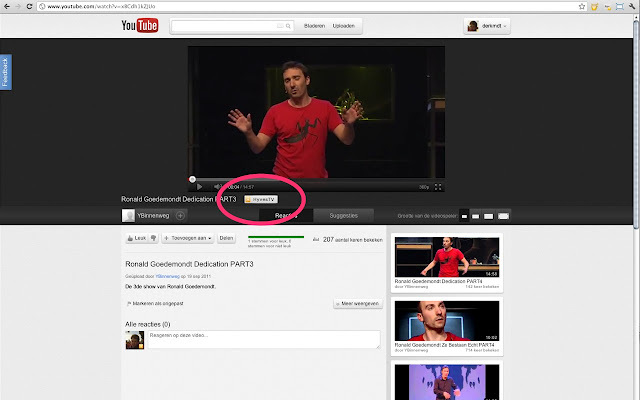 Within YouTube.nl there is also a share function that shows a Hyves Share button. 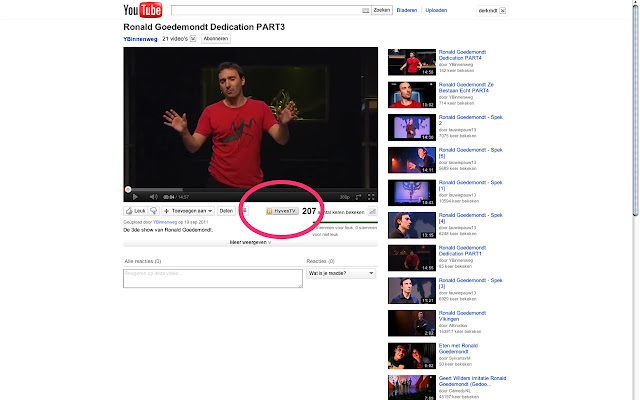 The source code for this extension is available on Bitbucket on https://bitbucket.org/derkmdt/chrome-hyves-hyvestv . Feel free to contribute and contact me.